Inspired by a recent song collaboration with a retired bush pilot, Chris began thinking about songs that gave a broad, yet personal glimpse of lives and adventures in this magnificent country: the journeys taken, the hardships encountered, the triumphs achieved and the work done. The content covers all the regions of Canada, and depending on the emphasis put on French in a given school, one song or more can be in French. Students experiment and learn to play simple patterns and rhythms as an ensemble while learning the rich history of the pan as an irrepressible collective expression of creativity and its present cultural and social contributions to communities throughout the world and locally. Instruments required – contact the MITS office for additional information. 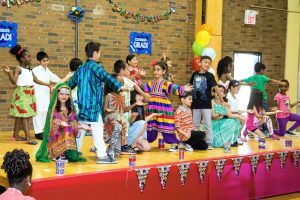 Muhtadi introduces students to the heartbeat of all music featuring drums and rhythms from around the world where students learn the basic elements of rhythm, beat and playing as an ensemble and showcase their learning. student. Instruments required – contact the MITS office for additional information. Performances are available for larger audiences with Muhtadi’s World Drummers. The tabla has its origins in north Indian classical music and the ancient rhythmic traditions of 5000 years ago represented by a continuum of musicians passing the music down in the oral tradition. It has become a popular percussion instrument in India and to world percussion music. 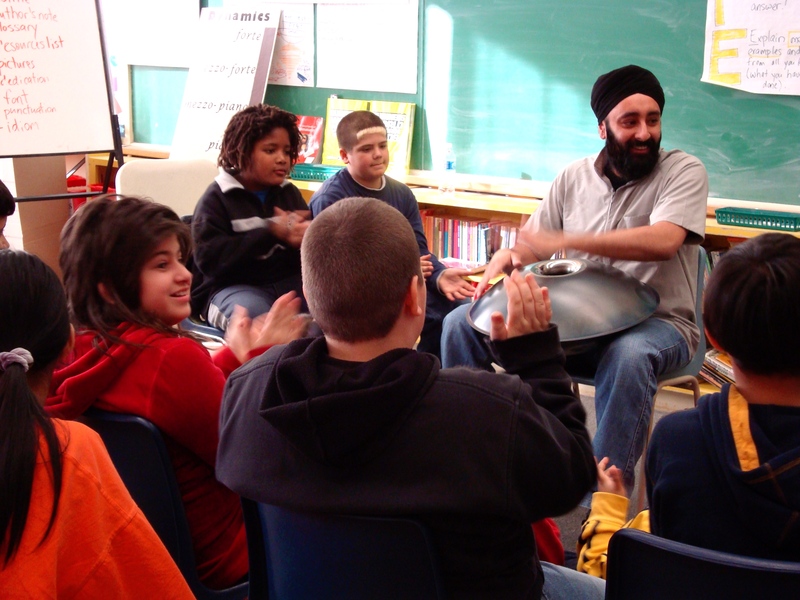 In this performance, Gurpreet introduces students to this remarkable instrument demonstrating its sophistication, tonal beauty and versatility within Indian traditional, classical and contemporary music as well as Soul, Jazz, Funk, Hip Hop and Dance Hall genres and students are invited to participate in vocalizing tabla bols and sol-ka-tu (rhythmic syllables). In collaboration with the music teacher, this 5-day workshop series provides students with the opportunity to collectively create their own bols and to showcase their learning. In collaboration with a music teacher, students are introduced to both Hindustani and Karnatic rhythmic languages through chanting and the playing of the Indian percussion instruments as they learn about, create, compose and perform with rhythmic syllables (bols and sol-ka-tu). In the following programs, Njacko Backo shares the experiences of village life from his native Cameroon where traditions are passed down orally and self-discipline and respect for ancestry is critical to a harmonious life. Here singing, dancing and telling stores are integral to daily living; they pass down traditions, history and values; they are communal activities that provide a sense of belonging, strengthen community ties and contribute to the greater good. Students play percussion instruments and learn traditional West African dance and singing responses as Njacko shares the music and stories of Cameroon, his West Africa homeland. Students make their own percussion instruments from recycled materials as they do in villages throughout Africa, and learn to play basic rhythms and beats. Learn of village life in Cameroon while playing percussion instruments made from everyday objects and build a repertoire of African songs and dance steps.